Built to your specifications and designed to suit your home. It's amazing how much dust-gathering clutter little people can accumulate even in a short space of time! It takes tardis-like boxes, cavernous cupboards and sturdy bookcases to keep kids organised and tidy up those books and toys. Whether you're kitting out a playroom, nursery or youngster's bedroom, Furniture to Fit can design and build all kinds of storage solutions, from a simple wooden toy box or storage cabinet, to a bookcase or chest of drawers. Each piece can be finished in a variety of colours to suit a themed nursery or child's bedroom. 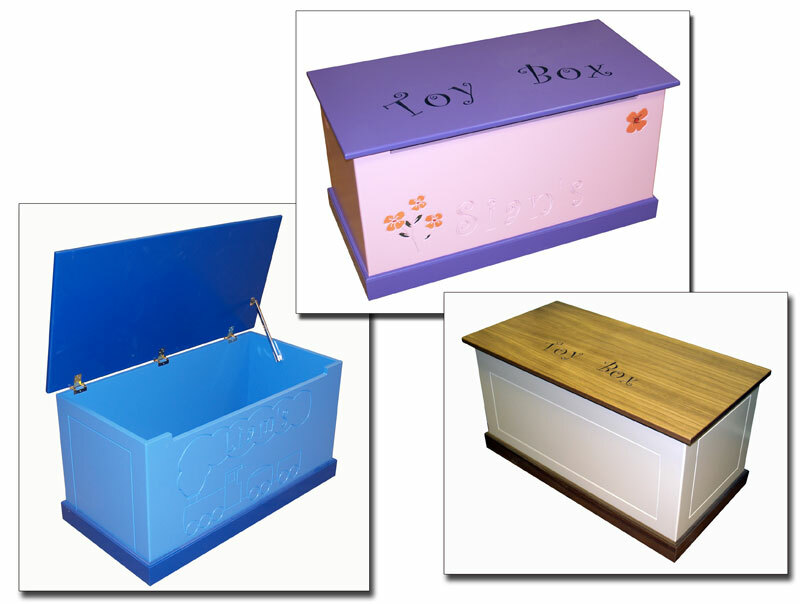 Engraved toy boxes also make unique, personalised gifts that are not only great to look at, but useful too.